Kat's Blog: Frozen Has Arrived! I am so thrilled. 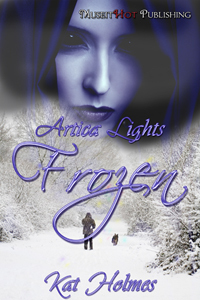 It seems like its been forever but Frozen has finally released from MuseItHot Publishing Inc. You can get your very own copy by clicking on the link for our bookstore. I hope you enjoy this story as much as I loved writing it. Yippee! And congrats on having two books make the editors Spring Picks! And I have read it...may I say WOW...can't wait for the next in this series. Artica...who needs tropical heat waves, give me bone-chillingly passionate hot.